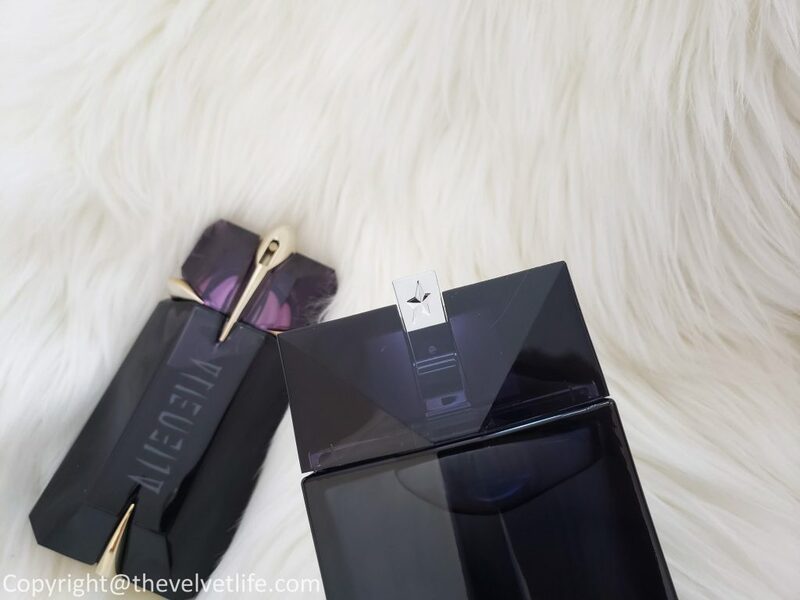 Its not just me but my husband is also a fan of Mugler fragrances, they are always so unique and every new launch has something different to offer. This year, Alien has its alter ego called Alien Man. Let me write something about Alien first and then I will go to the new launch. 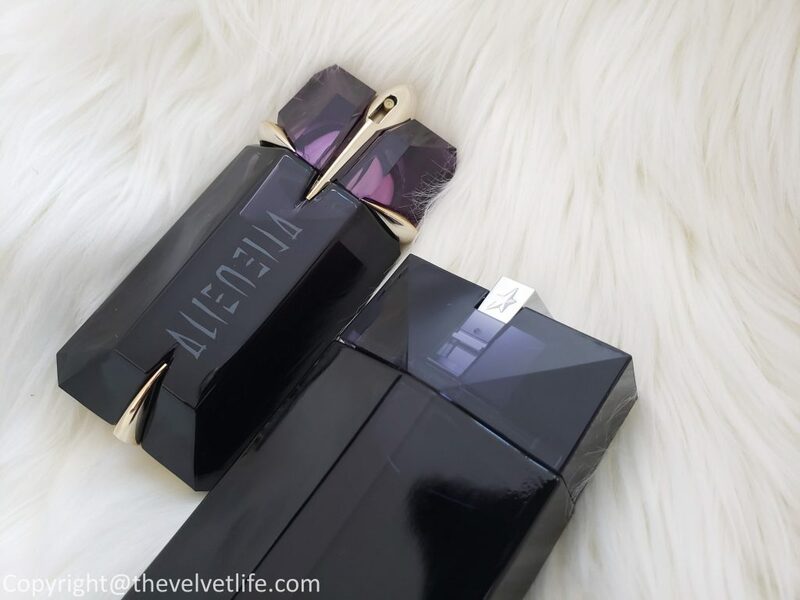 Alien is a fragrance for women with unique olfactory signature in which jasmine radiates majestically – vibrant and intoxicating, its fragrance trail is born from a marriage of two overdoses, animalistic and captivating white amber blends with Cashmeran Wood, a musky, yet surreal ingredient. The packaging of Alien is sculpted like an emerald and set in gold like a diamond, the precious amethyst-coloured bottle releases its soothing, extraordinary vision. This magical, gemstone-like bottle has the name of the fragrance engraved in the glass. The notes of the Alien are Indian Sambac Jasmine, Cashmeran Wood, and White Amber. The new Alien Man bottle is a modern tribute to its alter ego, Alien Eau de Parfum. Alien Man is a reinvention of the leather fragrance family by overdosing it and it a skilful twist – an overdose of Osmanthus blossom with apricot notes paired with a woody base of smoked beech bark. The shape of the Alien Man bottle retains the architectural structure of the feminine version, a little simplified. Its facets have been smoothed, its base hardened, it’s gold prongs replaced by a solid silver line. This amalgamation of art and medium with the glass to reveal a surreal dark blue shade which also reveals violet tones. The notes of Alien Man are Smoked Beech – Dill, Cashmeran – Leather, Osmanthus – White Amber. I love Alien Eau de Parfum for my self and not just that I love Alien Man on my husband but he is also in love with this new scent. 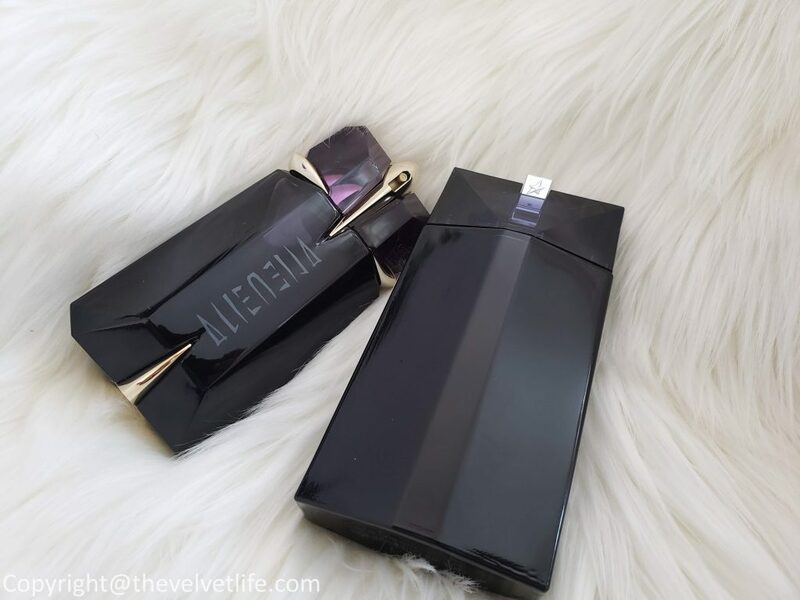 I am really loving Alien for myself, it is a fresh, clean, bright scent. Longevity of the scent is amazing on my skin. Alien Man is a fresh, warm yet calming, muscular, and strong scent. Longevity of Alien Man is also amazing. Alien Man would be a great gift for the man in your life or even for yourself if you love leathery scents, it is definitely a great scent in our fragrance collection. The Hudson’s Bay , Shoppers Drug Mart, Jean Coutu, and Murale. 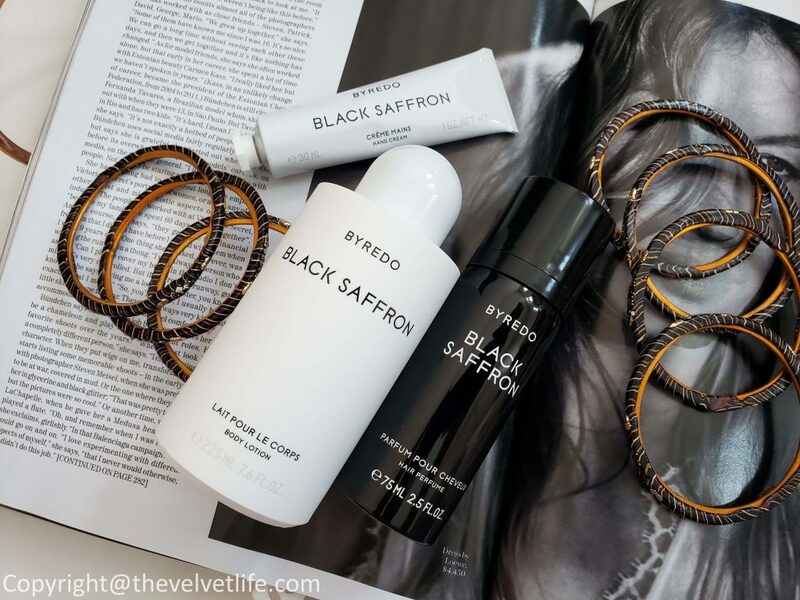 Byredo Black Saffron has been on my wishlist to try for quite a long time, the main reason was the attachment of this fragrance to my roots in India. Saffron has always had an important place in India for holy rituals, food, and even everyday life for its medicinal properties. 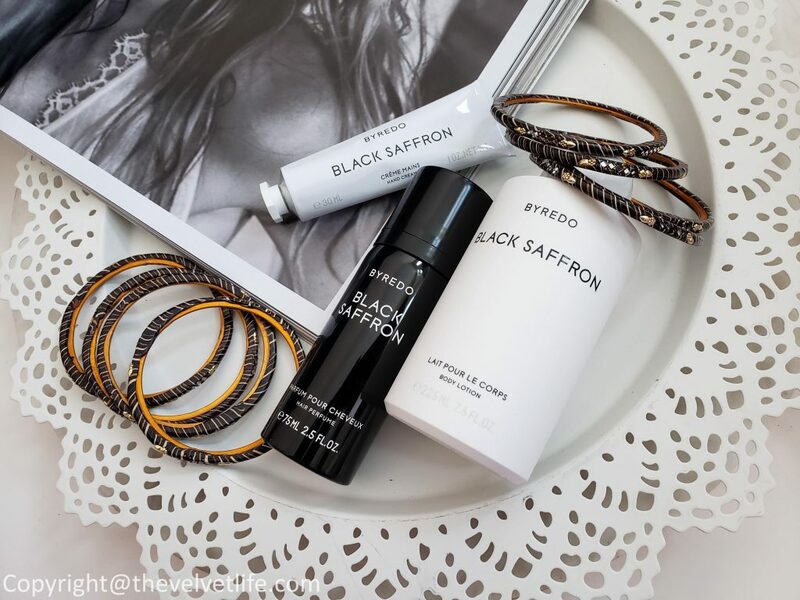 I have three products from the collection I am absolutely in love – Byredo Black Saffron Hair Perfume, Black Saffron Body Lotion, and Black Saffron Hand Cream. “Saffron has always been a part of my Indian upbringing both in smell, taste, and color. It is holy to all Hindus, is the color of Buddhist robes and has become a symbol for India. BYREDO’s ‘Black Saffron’ is a fragrance inspired by this very idea of sublime unity. I have grown to understand more about my heritage and this fragrance is very much about that process.” – Ben Gorham, Founder and Creative Director of Byredo. With its beautiful, intense golden-orange color and hay-like scent, Saffron has been used as a seasoning, dye, medicine, and fragrance. It was brought to Kashmir by the Persians in the 11th/12th century AD and its use and cultivation spread quickly throughout the country. 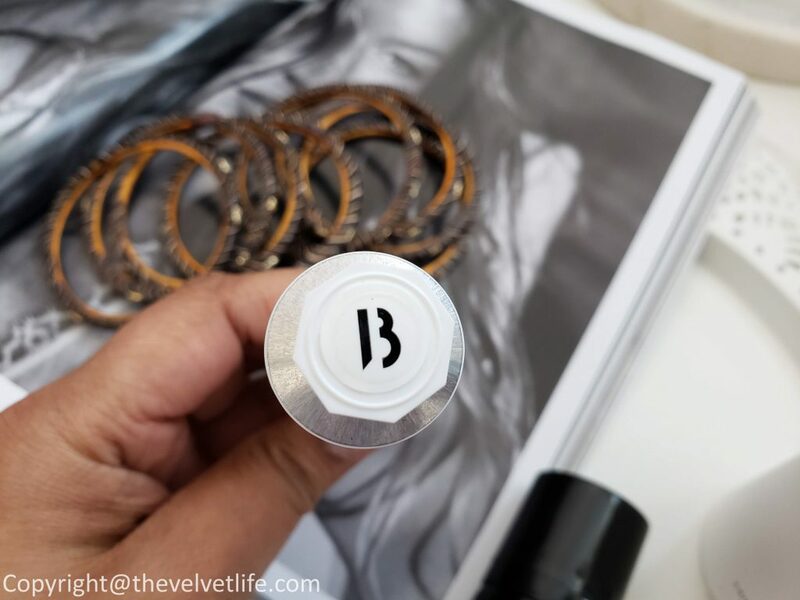 Byredo Black Saffron Hair Perfume is a light formula and gives an invisible veil designed to leave the hair nourished and luminous while divinely scented. 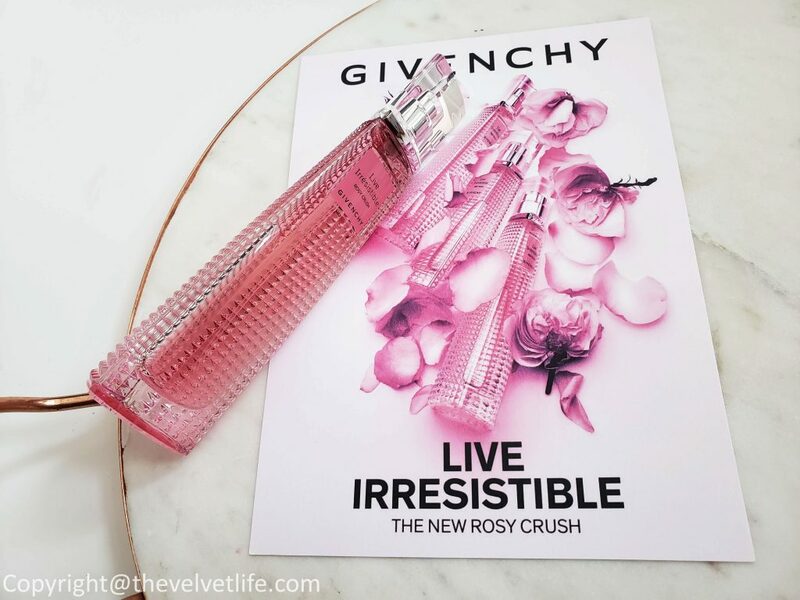 The scent is very uplifting and long-lasting. It subtly diffuses throughout the day, amplified by the natural movement of the hair. When you are busy with your daily routine, the scent diffuses gently to remind of it being there which is very refreshing. It does not makes the hair dry or leaves a residue. 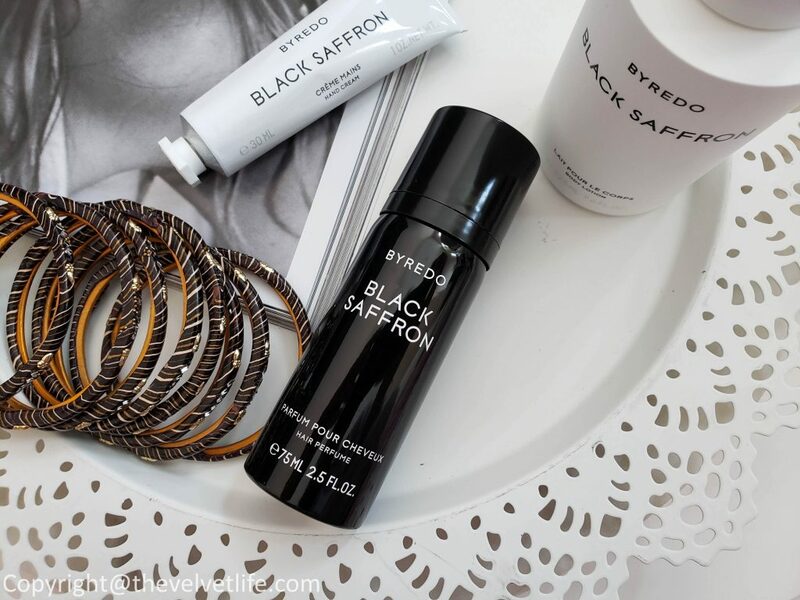 Hair looks and feels fresh, even on the second day after hair wash.
Byredo’s Black Saffron Hand Cream is a moisturizing hand cream which does not feel sticky or greasy. It absorbs nicely into the skin and keeps the hands moisturized. My hands look soft and youthful. It is perfect for layering with the brand’s Black Saffron Eau de parfum. Byredo’s Black Saffron Body Lotion is a nourishing body lotion which is lightweight and absorbs quickly into the skin. 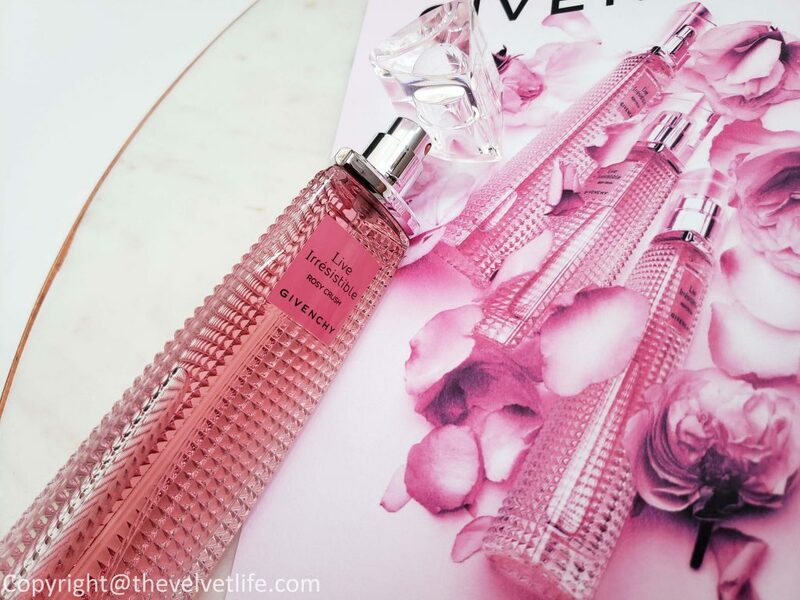 It is perfect for layering with the brand’s Black Saffron Eau de parfum.